News are trickling in about two potential trialists. First, El Grafico reports that El Salvadorean international defender Bryan Tamacas will join Metro on trial. According to the website, "I confirm that he is on trial at Red Bulls, we are about to close there, we hope that everything goes well". 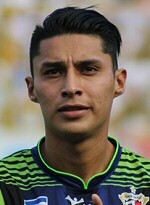 The 23-year-old right back, nicknamed "Buba", currently plays for Santa Teca. One player who has already arrived on trial is Andreas Ivan, as reported by Dylan Butler. The Romanian winger, 23, is currently with Waldhof Mannheim in Germany's fourth division. He previously featured for both Romanian and German youth national teams.